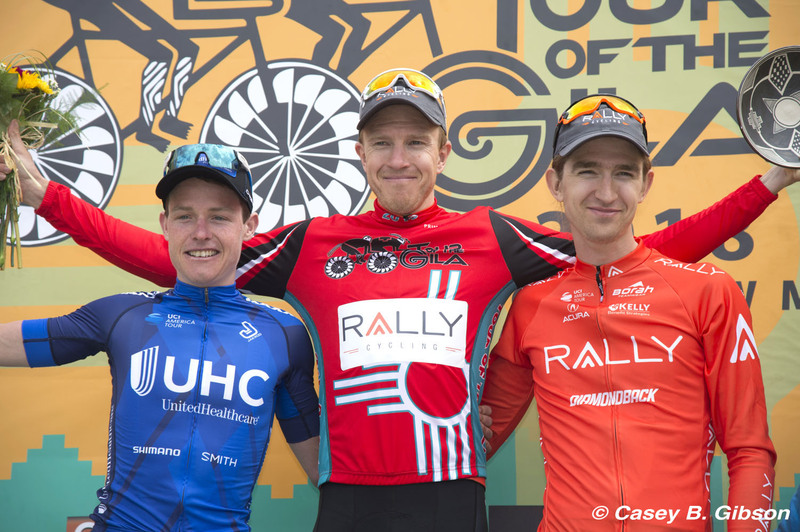 Rally Cycling's Rob Britton continued his dominance of North America's biggest stages races this weekend, winning New Mexico's Tour of the Gila. Britton finished second on the final stage, the notorious Gila Monster. Sara Poidevin finished second overall and won Best Young Rider. 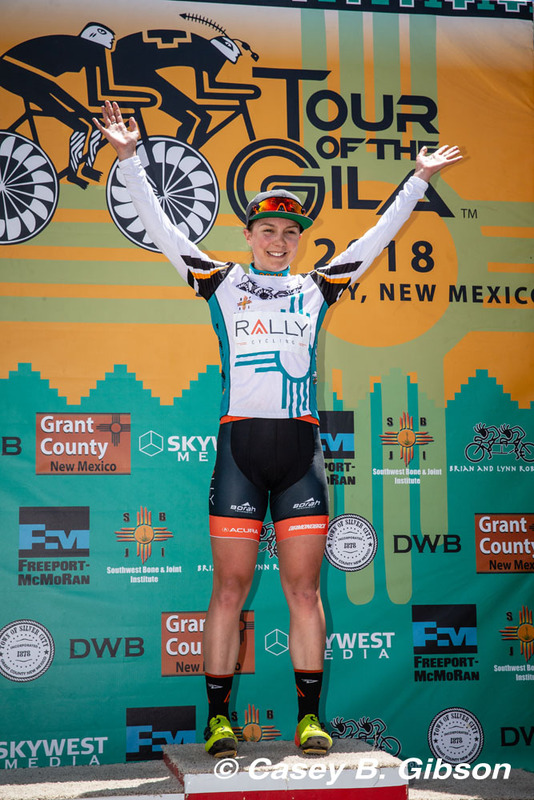 The final stage to Pinos Altos, also known as the Gila Monster, took the riders north of Silver City to Gila National Forest where the mountain roads rise over 7,000 ft in elevation. It's a stage where only the strong survive. In the men's race, Rally team captain Danny Pate covered the early breakaway while Eric Young and Brad Huff controlled the peloton heading into the day's first major climb. Pate dropped back from the breakaway to ride on the front of the peloton going into the infamous Cliff Dwellings National Monument climb. 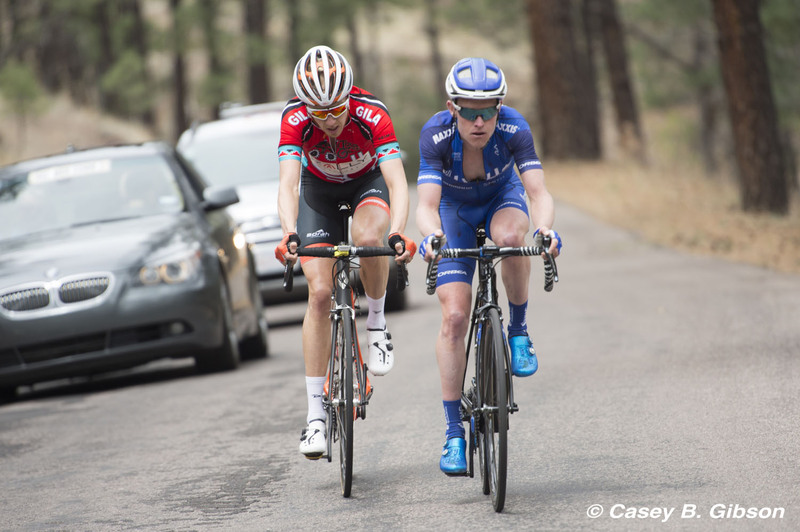 Then, Evan Huffman took over the pacemaking to deliver Britton into the base of the final climb to Pinos Altos. Further up the road, the women's team was engaged in a battle for the overall title. Poidevin was only eight seconds down the race leader, Katie Hall (UnitedHealthcare). 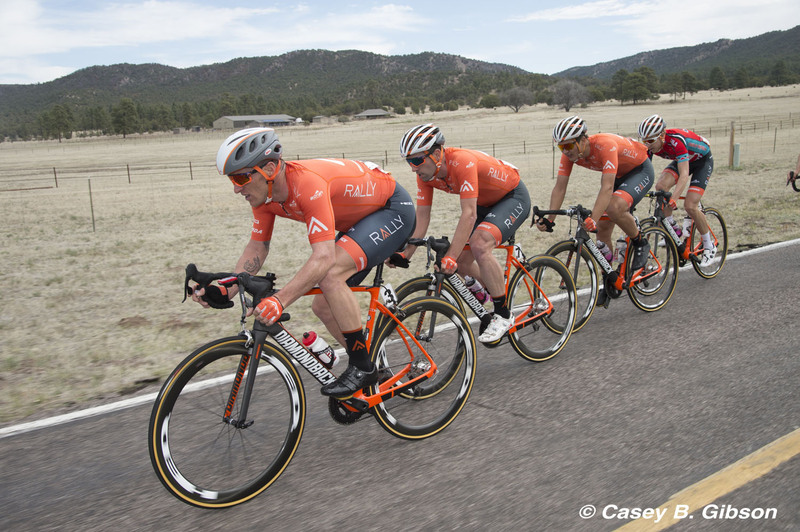 Rally Cycling put Abby Mickey and Gillian Ellsay into the day's breakaway and forced Hall's teammates to chase. Going into the final climb, Poidevin's teammates launched a series of attacks but were unable to unseat the race leader. Emma White crossed the line in fifth while Poidevin, feeling the effects of her bid for the overall, finished tenth on the stage. "It's fantastic to win again," said Britton. "Not many people have won this race twice. The team was solid today and every day. That's one thing I knew I can always count on. The boys always show up for work!" "The day more or less went to plan. I knew I only had to cover Gavin [Mannion, UnitedHealthcare] and when he went I followed and with 20 kilometres to go, it was just the two of us. We agreed to roll together to the last 500 metres and then see what was left. I was happy with how it all turned out." "This was definitely a good marker to see where the form is but it was also always part of the plan. I'll recover from this and then we'll have 10 days to make a few little tweaks and hopefully get the last couple percent out of me for the start of Tour of California." Sara Poidevin said, "I think everyone on the team can be really satisfied with how they rode today. We put up a good fight all day and put pressure exactly how we needed to." "I'm so grateful for all my teammates. Everyone buried themselves today and we put in everything we had." "I think we learned a lot as a team this week and personally, I gained a bit of confidence. I think we can take a lot away as a team because we got stronger through the week and showed that we can put up a really solid fight against the other top teams in the country. There's still lots of racing left this season and this week left us pretty hungry."